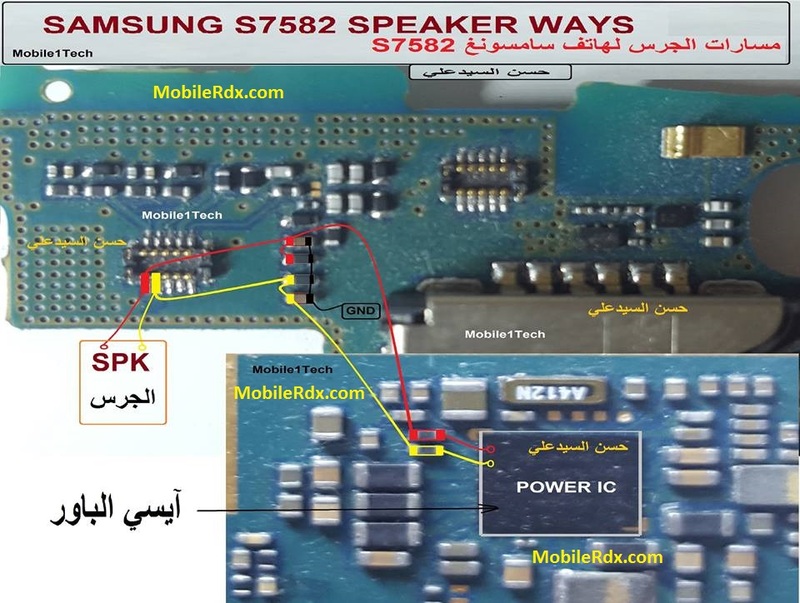 Here’s the Samsung Galaxy S Duos 2 S7582 solution for not working ringer, buzzer or hands-free speaker problem. This solution may help on how to troubleshoot and repair the phone handset. 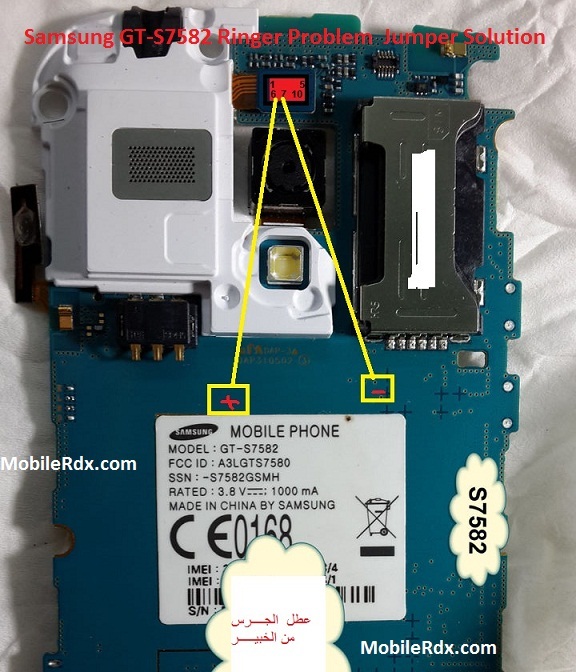 To repair the Samsung S7582 hands free speaker, you may first clean the speaker terminal contact pads on the PCB board if there is a corrosion and oxidation build up., then check the speaker using a multimeter to easily determine if it’s working or not. Replace a damaged speaker if found. If the speaker confirmed okay, you may refer to the solution below and do have a check and test procedure on some components which is associated or connected with the hands-free speaker circuit. The solution above shows the IHF speaker connection and line paths which can be used for checking or tracing. The IHF audio signals is feeds from the audio IC (AVILMA) and then filtered by filter coils before it goes through to the IHF speaker. a) Check the IHF speaker or try to install a new replacement spare parts. b) Check the speaker terminal and contact pads and ensure that it is clean. c) Check the filter coils and ESD protection resistors and then replace if found damaged.